Let’s talk about spices. First, they’re so essential to cooking and baking that no matter the type or size of the kitchen, space is made for them. 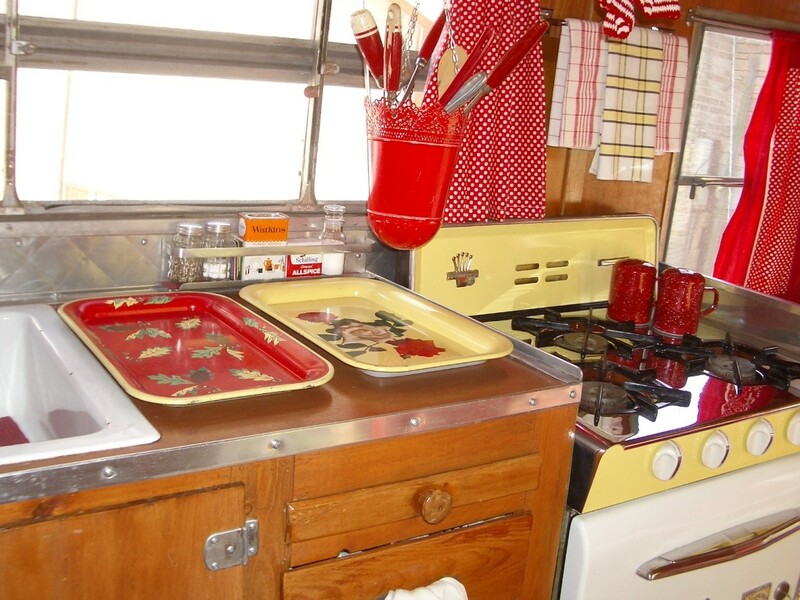 Here’s a perfect example: This is a shot of the “kitchen” of my little vintage travel trailer (our “canned ham”). Notice that even in this tiny area—an area where space is at a very high premium—the trailer designer figured out how to make space for spices? (It’s the attached holder just above the red and yellow trays.) That’s how important they are to cooking and baking—somehow, some way, we’ll figure out where to put ‘em! And likely you’ve made space in your kitchen for spices as well. In other words, spice placement isn’t an afterthought. It’s a priority. Thus seeing how important they are to our culinary pursuits, it’s no surprise, then, that there’s much said about how they ought to be stored. We all know spices are highly susceptible to heat and light. Their pungency should be protected. So storing them above the stove (whether in a cupboard or on the wall) isn’t a good idea at all (even though that’s almost always where I find them stored when I go into someone’s kitchen to do a space and clutter consultation). 1. We go through all spices, checking for age and quality. If they’re so old they no longer provide true flavor or zip, they’re tossed. 2. Then we hunt for a better place to store them. 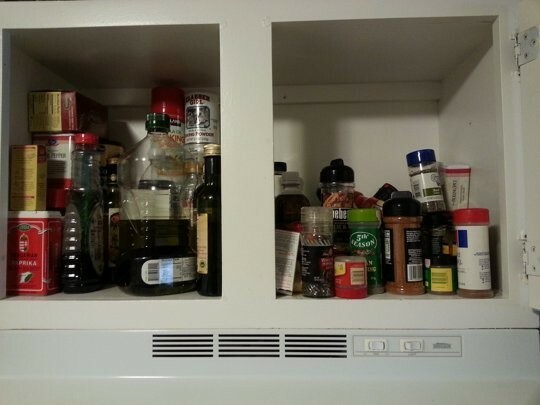 There’s always some reorganization of stuff and moving things around, but proper spice storage is the priority. The bottom line to the very best way to store spices? In an airtight container in the freezer. They retain their flavor and quality longest when stored this way. Up to six months is recommended. Sure, sure, I know you have spices way older than that and you’ll continue to use them. But going forward, the smartest thing to do is purchase small quantities and use them up quickly. 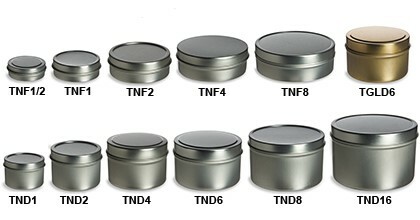 First, various sizes of stainless steel tins. These come in two shapes (flat or deep), have air-tight lids, stack well, look nice, are super affordable, and the lid doesn’t let any light in (as do those tins from IKEA with the see-through plastic lids). They come from Specialty Bottle, a supplier of bottles, jars and metal containers. 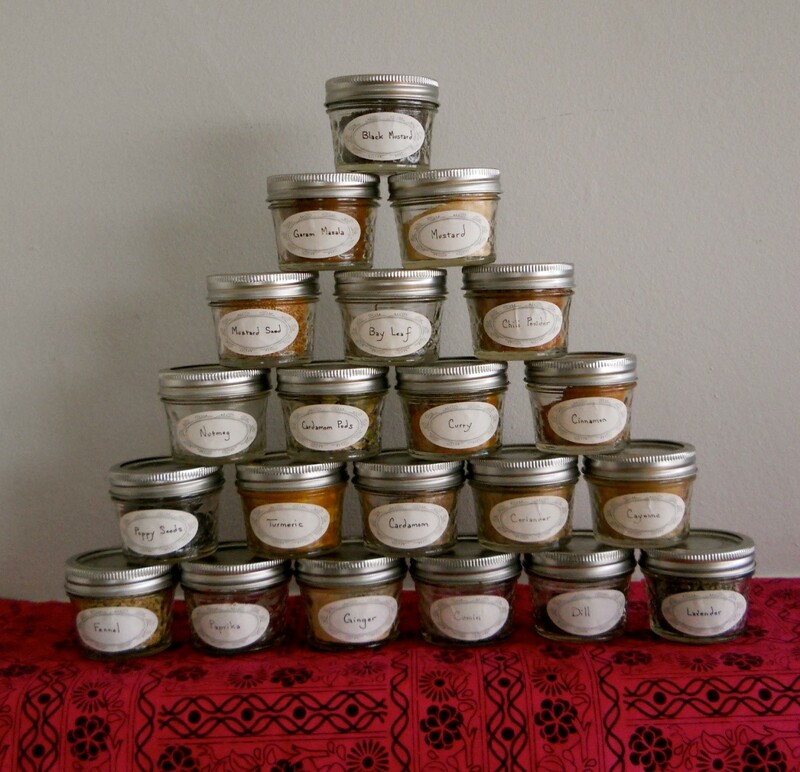 Many of their customers are in the gourmet food, natural products, and candle industries. But they supply both small and large companies, as well as individuals. I’m not affiliated with this company in any way, I just love their products. You can place your order online (http://www.specialtybottle.com/tincontainersmi.aspx) or call them at 206-382-1100. Specialty Bottle has NO minimums, no handling or service charges, and almost all items can be ordered in less than case quantities. And affordable? The smallest tin holds ½ an ounce and costs 42¢ as a flat tin. The 1-ouncer is 46¢ as a flat tin or 57¢ as a deep tin. The 4-ounce deep tin is only 76¢. I label with wipe-off labels so I can change the date of purchase. Second, those cute small mason jars. The lids are air tight, they look nice, and they do stack. You can get them anywhere (Hobby Lobby is my preferred store because of their frequent sales on glass containers). And adding labels is easy. Whatever way you go, do go for air tight containers and seriously consider storing them in the freezer. Finally, let’s talk about a specific spice—allspice. It smells so much like cloves, doesn’t it? So what’s the difference? 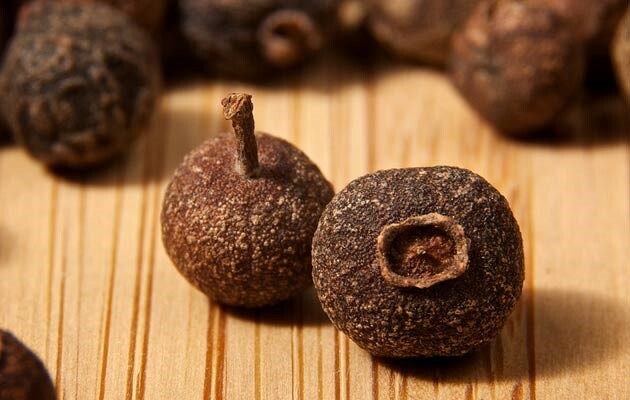 Well, allspice is a plant whose dried berries have a flavor combination of cloves, cinnamon, nutmeg, and black pepper. If you were to use whole allspice, you’d want about 5 dried berries for 1 ground teaspoon-worth. As is true with all spices, the whole fruits have a longer shelf life than the powdered product and they produce a more aromatic ingreddient when freshly ground (just before use). 1. When making spiced cider, mulled wine, or chai, include a couple of allspice berries. 2. Grind a few berries and add it to your chicken dish. 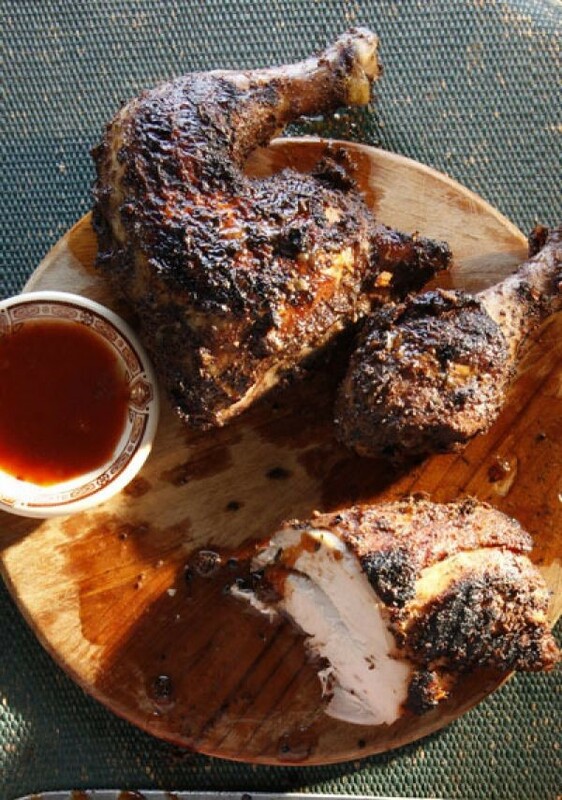 It’s especially good in jerk chicken (recipe follows). 3. Add a big pinch of ground allspice to your barbecue sauce. It contributes a unique sweet and spicy depth of flavor. 4. Use it in any spice-driven dessert, of course (gingerbread, spice cookies and cake, for instance). But it also pairs wonderfully well with dark chocolate desserts that aren’t too sweet. Combine sugar, allspice, scallions, oil, pepper, salt, ginger, juice, soy sauce, thyme, cinnamon, nutmeg, cloves, garlic, and chilies in a bowl. Add chicken; toss to coat in jerk marinade. Cover with plastic wrap; chill at least 6 hours, or overnight.